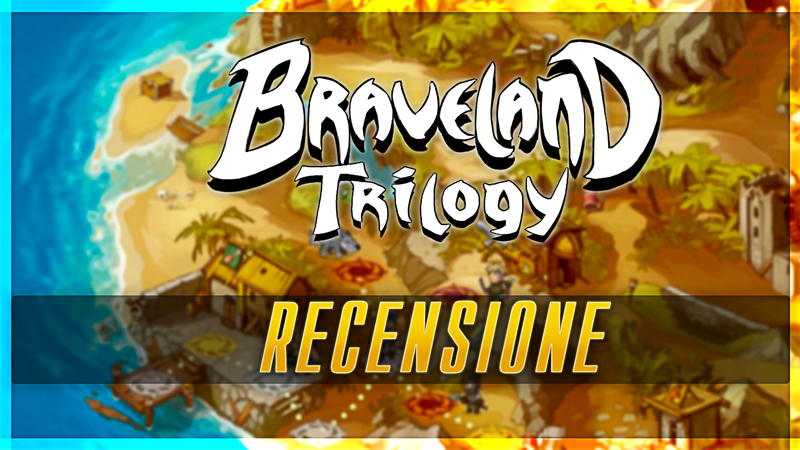 Braveland Trilogy is a strategic turn-based RPG with cartoon graphics, porting to Nintendo Switch of the three titles in this series (Braveland, Braveland Pirate and Braveland Wizard) already released on PC between the 2014 and 2015. The three games present obviously have three different stories, but none of them will go down in history as the best screenplay in the world of video games, since in reality they act more like entertainment between one fight and another to leave room for the heart of the game, which is precisely the fight. 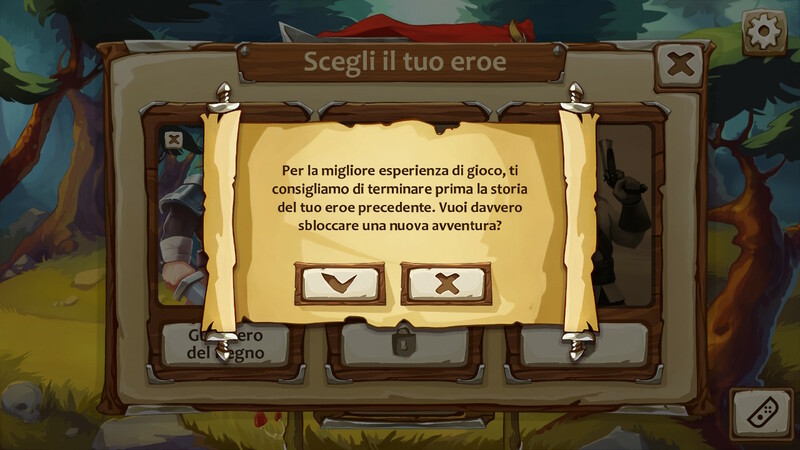 It is possible to play each of the three titles independently of each other, but the game itself advises us to complete the previous stories before diving into a new adventure, also because Pirate and Wizard offer some extra features compared to the basic game. On the other hand, each of the 3 games requires only a few hours of work to complete, making them almost comparable to the chapters of a single title. And then don't say the game didn't warn you. There are three levels of difficulty, which can also be changed during the current game. At Easy and Normal level there is not much to think about: you can face battles almost always with the same strategy and hardly risk the complete wipe. On the other hand, at the end of each battle our units are "cured" at the cost of a few gold coins and therefore it is possible to play in a relaxed manner. On the other hand, the Difficult mode is not the case, where not only the enemies to be dealt with are more “tough”, but also the cost of healing at the end of the battle is increased, without the cash rewards at the end of the battle being increased. We are not yet at the Lunatic levels with the last permadeath Fire Emblem, but Braveland Trilogy faced with its highest difficulty it requires a certain amount of strategy and programming in every battle. The game world map is fairly linear: you can go from one point to another and you can only continue after completing the battle or the previous event. Some "knots" allow small deviations, where there are additional battles that allow us to make a minimum of "grinding"Both of money and experience, and to unblock location bonuses as unit recruitment centers or simple events that provide us with additional loot, but never anything shocking regarding the story (which we remember, is quite meager). It is relevant to consider that Braveland Trilogy do not present random battles that allow us sessions of "Power leveling". As you go on in history, the fights become more and more difficult and complicated, so even at lower levels of difficulty it is advisable to play the simplest maps with shrewdness in order to arrive at these battles with the complete roster. The roster is managed with a system a "Stars": each unit has a precise value and it is possible to have under our commands only up to a certain sum of total stars. If in the first battles this problem does not arise, going ahead in the game and finding stronger units (which usually involve more stars), you have to make choices about who to bring into battle according to your needs. As soon as a confrontation begins, it is clear how Braveland Trilogy take inspiration from a historical title like Heroes of Might and Magic, in fact the fights take place on maps with hexagonal squares, unlike a historical title of the Nintendo How Fire Emblem which instead uses maps with square boxes. Lots of units in the game, each with unique characteristics and special abilities with cooldown and above all each of the 3 games has new and different units. You will remember this as the day you almost killed poor Jim! The pirate setting is the one that I liked least, but at the gameplay level, certainly the most interesting. Combat can be managed both with the physical keys and with the touch screen, thus exploiting the potential of Nintendo Switch surely smarter than many other portings "lazy"Who did not foresee this possibility. 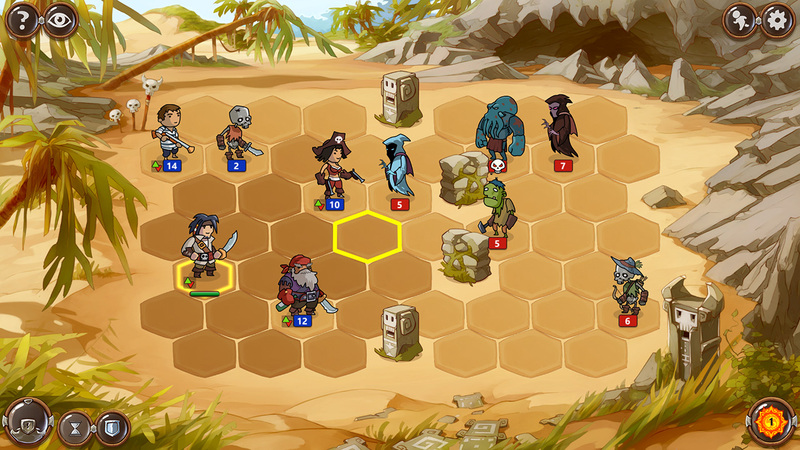 There are many options available to the player to better manage the fight, including the ability to increase speed or view the statistics of the units on screen. This last option is fundamental on a Difficult level because it allows us to accurately predict the enemy counterattack and understand when and how we should attack certain units rather than others and minimize losses as much as possible. After each fight we receive a certain amount of money and experience: the first ones usually serve to recruit new units or heal those wounds during the battle, while the experience allows us to raise the level of the hero we are using. 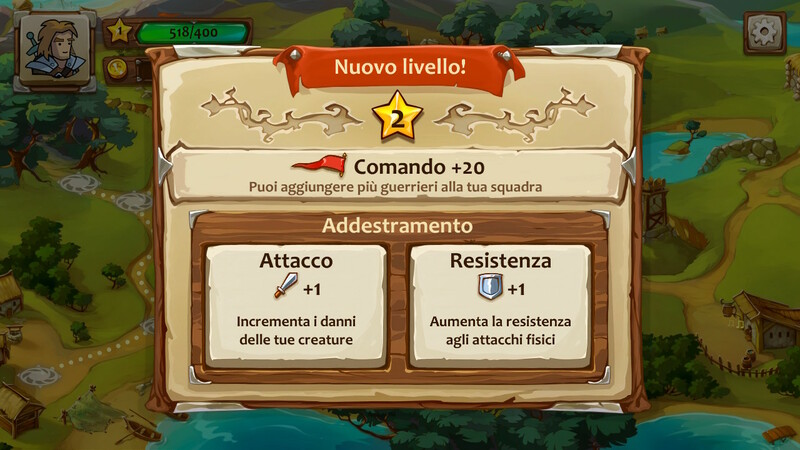 At each level transition we are given the opportunity to choose between two abilities that modify the unit statistics under our command: for example, raise the attack of the physical units or improve the defense against magic attacks. The best defense is the attack ... or not? We were talking about extra features for Braveland Wizard e Braveland Pirate, which basically consist of the presence of a Talent Tree for our hero that allows a certain customization of the character and the units under his command, making these two "chapters" certainly more interesting than the basic game. Also in Braveland Pirate our hero, Jim, actively participates as a unit in the battles, but fortunately the game does not go into Game Over if he is killed and can be resurrected / treated like all the others at the end of the battle for the right price. Braveland Trilogy is a good port for Switch, above all thanks to the integration of the touchscreen in the fights, which has the advantage of borrowing many beautiful things from other strategic turn-based RPGs, but also the great defect of not proposing anything really new. 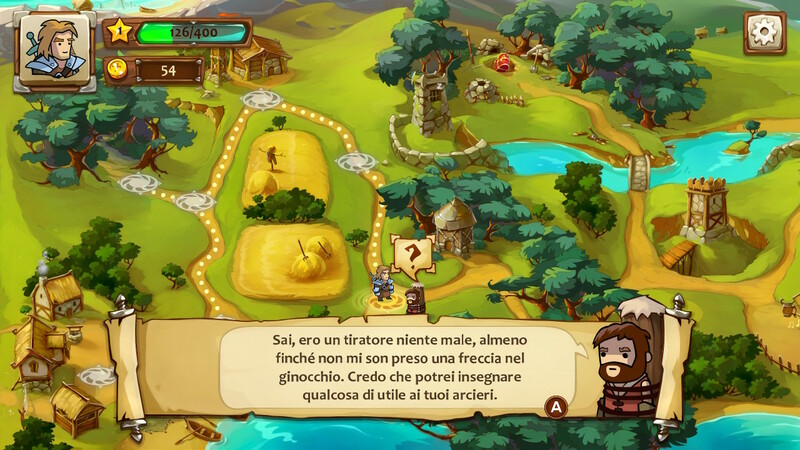 On a graphic level, the game has very attractive graphics and above all it is completely localized in Italian, which will make many players who misunderstand the titles in English only happy. For lovers of the genre, considering the fairly low price (15 euro), it can be a good buy to kill time waiting for Fire Emblem (from what we're almost there), while for the first time in this world it can be an ideal "entry product" to get familiar with the typical mechanics of turn-based strategic RPGs.